Silversands ZAR Online Casino is excited to offer a new Spectacular Bonus Set for their players until the 31st of August 2015. 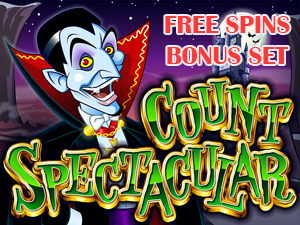 The coupon code for this promotion is COUNTSP and this promotion can be redeemed up to 10 times per player. Wagering is set at 10x (Deposit + Bonus received + amount obtained from free spins) and this promotion is only valid for Silversands ZAR.